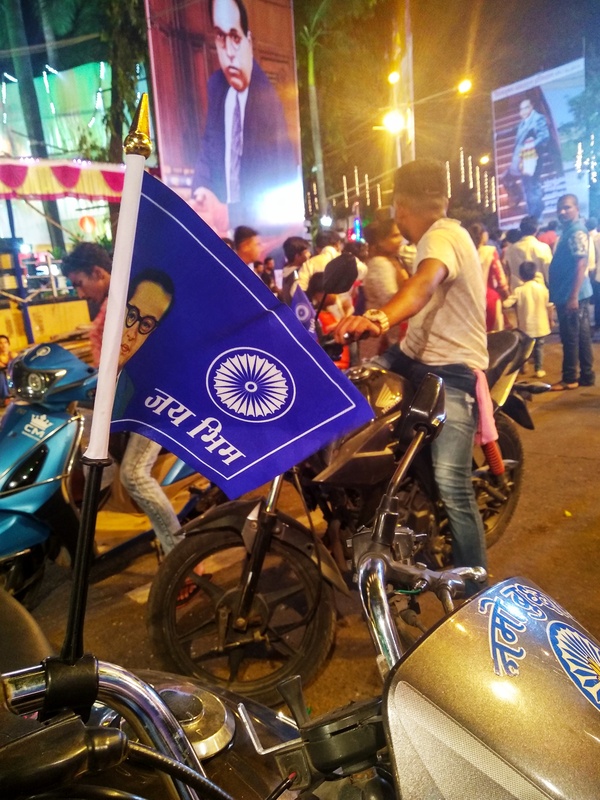 In these times when the entire nation is reeling under severe attacks from the dominant classes, “I would like to remind the young generation of today including myself, that we have to remember the dream of our great Dr. Babasaheb Ambedkar to create a society that is without caste and without ignorance. And to this end, we must unite,” writes Sonali Shirke, on the 128th birth anniversary of Dr. B.R. Ambedkar. It seems specially important for me today to begin with these words of Babasaheb. As a woman in this society, a Dalit woman that too, when I try to articulate my individuality, I find that I have to face many different experiences. Like the one of a woman trying to speak up about her existence in this patriarchal society– whenever a woman attempts to question this system that always favours men, the system finds a variety of ways to disparage her. 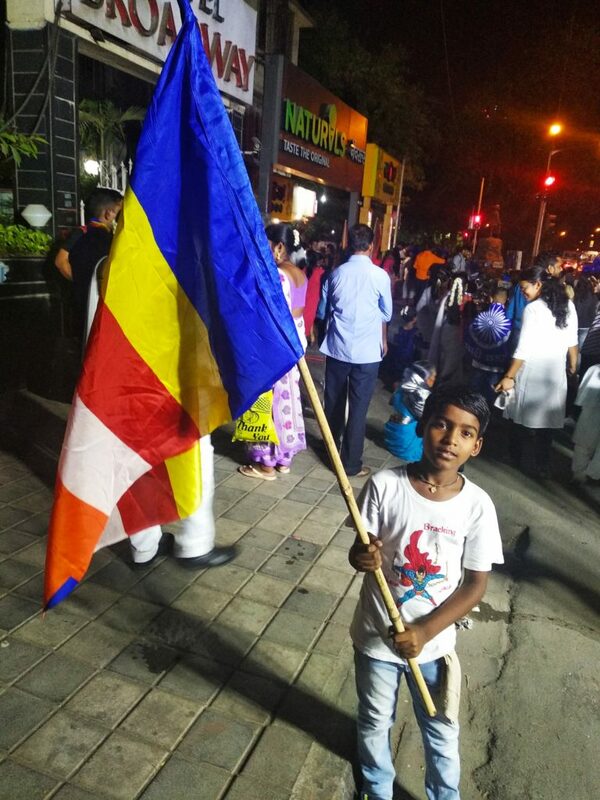 Ambedkar Jayanti celebrations in Mumbai. Midnight, 14th April. 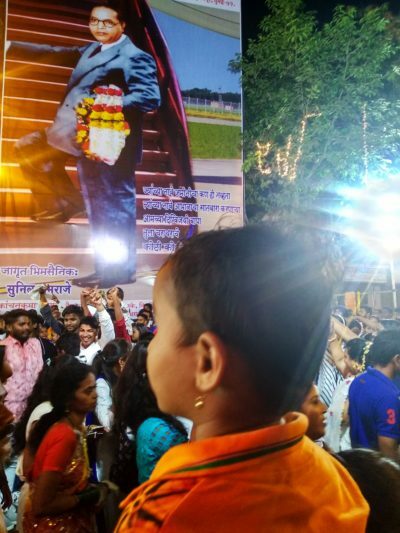 But, when you look at women through Babasaheb’s eyes, it is then that you begin to view the possibility of their development, their progress, efforts towards equality, and arrangements for equal opportunity for women that he put forward through his thoughts, his writings, and his actions. Through our Constitution, he ensured that gender discrimination in society does not lead to the treatment of women as second class citizen. When the Hindu Code Bill – even in a watered down form – was not passed by the Parliament, Dr. Ambedkar resigned from the Cabinet in protest. The Hindu Code Bill was drafted by Dr. Ambedkar – who was the Law Minister then – to regulate ‘Hindu personal law’. The Bill was an attack on both the Hindu caste system and patriarchy. The draft included the Right to Divorce, Equal Rights for Women to Inherit Property and the Abolition of Polygamy. 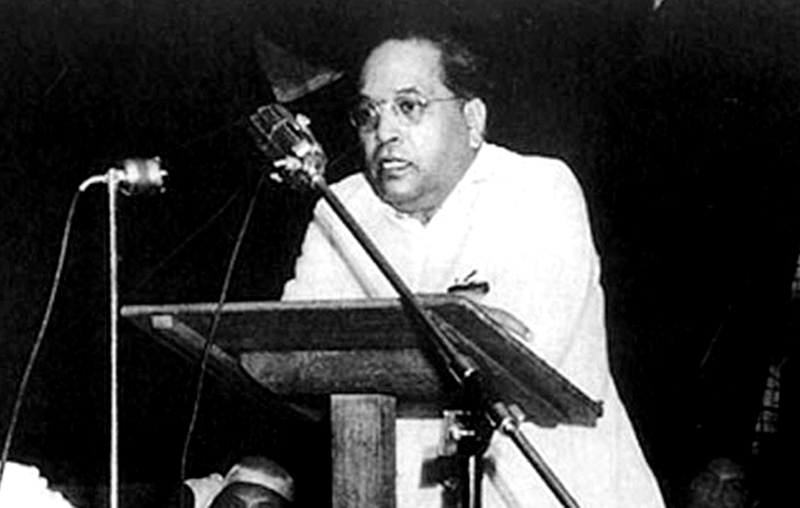 The Bill sparked resistance from large sections of upper caste Hindus, but Babasaheb fought for it for over a decade till it was finally passed in the 1950s. He resisted against everyone who were opposed to the Bill – that included not just members of the Hindu right, but also sections of the Congress. “In regard to this Bill, I have been made to go through the greatest mental torture. The aid of Party Machinery was denied to me. The Prime Minister gave freedom of Vote, an unusual thing in the history of the Party. I did not mind it. But I expected two things. I expected a party whip as to time limit on speeches and instruction to the Chief whip to move closure when sufficient debate had taken place. A whip on time limit on speeches would have got the Bill through… But such a whip was never issued.… The Hindu Code was the greatest social reform measure ever undertaken by the legislature in this country. No law passed by the Indian Legislature in the past or likely to be passed in the future can be compared to it in point of its significance,” he said in his resignation speech. In the old Maharashtra plagued by severe casteism, prominent reformers such as Savitribai Phule and Mahatma Jyotiba Phule carried out the invaluable task of transformation of the society by fighting discrimination in order to bring about equality, and to bring education to the children of Dalit, Bahujan, Shudra, and Vanchit members of society. It is because of their tremendous effort that we are able to have an education today; that we women especially are being able to study and even go for higher studies. We are forever indebted to them for this effort. Babasaheb too was influenced by Mahatma Phule’s principles and the principles of the Satyashodhak Samaj. This influence inspired him to struggle for the transformation of society throughout his life. He made use of various amendments in the original Draft of the Constitution to bring about the creation of laws that freed women from the whirlwind of casteism and oppression that they were caught in for centuries. These include Maternity Benefit Bill, Equal Pay laws, Property rights, Adoption rights, Right to Divorce. He also made laws that prioritized education for women. Babasaheb himself came from the Shudra class of society, as classified by the caste system and Brahmanical society. He faced untouchability, he sat outside the classroom in his school to be able to receive education, and even did higher studies while fighting casteism throughout. He studied to become a barrister, creating an example for Dalit and Bahujan people. He showed them that it was not just the Brahmins but every single person in society for whom education was a fundamental right. He understood that only when every person in society is educated, organized, and agitates for the downfall of the caste system, only then will equality be established in all our lives. 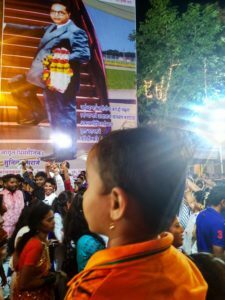 Babasaheb said, “Education is the milk of a tigress and the one who will drink it, will roar!” What this means is that the one who is educated is able to see oppression and discrimination around her, she will raise her voice against it and won’t rest until she brings about the welfare of every single person. That is precisely why Babasaheb instituted the system of reservations so that education reaches each and every member of society. He arranged it so that Dalit, Vanchit, Bahujan, and backward sections of society would receive help for their education so that they could join the mainstream educational system and equal opportunity for education for every individual in society could eventually be created. But it is becoming increasingly apparent that this possibility does not at all please the sections of society influenced by Manuvadi and casteist thought. Even though casteism was rampant at that time, one cannot seriously claim that it does not exist anymore. On the contrary, those people who feed (on) this system of Manuvad and casteism have only grown and they now control the State. They have kept alive their attempts to disrupt the education of Dalit and Bahujan people by various means and methods. 400 Zila Parishad schools have been shut down last year across Maharashtra by the Government. The students who depend on such schools are mostly from Dalit, Bahujan, Vanchit backgrounds. Education in the state has also been largely privatised, thus taking it away from most people on one hand, while also degrading the quality of Marathi-based education itself. That is because these forces understood that if everyone has equal access to education, it will pose a threat to their superior status in society. Manuvadi and casteist thoughts and practices will be opposed, and there will be equality in society, and that is precisely what they do not want happening. Their intention that children of Dalit, Bahujan, and Vanchit members of society don’t receive an education is becoming clearer with each passing day. If the people are educated, they will question the system. They are afraid that these educated people will revolt against the corruption of the system and break through its shackles. That is why they are conspiring to close the doors of education for all those who are Vanchit. When children of the poorest members of this society try to study in prominent Universities, they scheme to attack the reservation system by increasing the fees, not giving them their scholarships on time, etc. Making higher education generally inaccessible to people also ensures that many of them do not even begin to pursue academics, since there is no guarantee that they would be able to continue it after a certain stage. Even if a student is able to fight through all of these obstacles and reach a University for higher learning, they will try their best to make the student’s life as difficult as possible. We saw the example of Rohith Vemula in University of Hyderabad, and how he was pushed by the administration to his death, because he was not only a Dalit research scholar but also a vocal one. We saw this recently in ‘premier institutions’ of the country in recent times, where on the one hand fees have been hiked while at the same time scholarships have been cut for Bahujan students. There are students in such institutions who even have to skip one meal in a day because they have no money left with them after paying their tuition fees. During my own graduation days I was regularly told by my fellow upper caste classmates that I was eating into their money since I was getting a fellowship. The lack of ease of higher education and its impact is probably most clear when it comes to women students. Because of the patriarchal society, it is anyway a challenge for women to get educated. There is enormous pressures on them to finish school education and get married and set up a family. In such situations, instead of thinking of higher education as a means for gender equality the way Babasaheb thought about it, today’s powers are in fact making it more and more inaccessible. Even the women students who somehow manage to reach such spaces after a lot of struggle, they often can not afford to do anything else other than finish their studies, and get back to their families. It is like a social contract almost. They often do not even have the scope to resist, even when they are treated unjustly in these kinds of spaces. My objective behind highlighting the current politics of education is to emphasize the difference between the prodigious Dr. Babasaheb Ambedkar on the one hand who told us that education is the only way to combat ignorance, who fought for this throughout his life, and on the other the Manuvadi and casteist people who only invoke Dr. Babasaheb Ambedkar’s name on his birth and death anniversaries but otherwise in action are intensely casteist. All I have to say to such people is that if you do want to honour Babasaheb, do it through your actions by understanding his thoughts and letting them reflect in your behaviour. To end this article, I would like to remind the young generation of today including myself, that we have to remember the dream of our great Dr. Babasaheb Ambedkar to create a society that is without caste and without ignorance. And to this end, we must unite. And with his vision in front of our eyes, we have to march forward. We must create a society that is based on the fundamental principles of justice, equality, fraternity, independence, democracy, and scientific thought. The author is a student and a political activist. The original Marathi article was translated to English by Sanika.